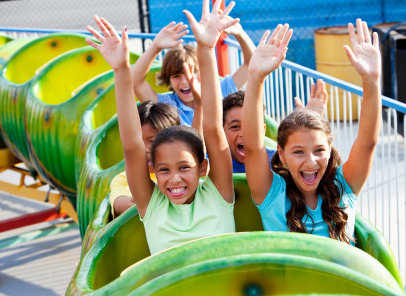 Family days out are a great way to celebrate a child’s birthday that everyone can get with. This is an especially good idea when you have more than one child! Choose places that caters for all ages so nobody is left out or disappointed. If you buy the tickets in advance, you can wrap them up in a presentation tin to give as a gift. Older children and adults might enjoy an Experience Day. This provides them with the opportunity to do something they might only have dreamed of before. The more unusual, the better the gift! Hot air ballooning is popular, but you can’t always enjoy the experience on a set day. You have to wait for the weather to be right! If your child or spouse has a specific interest, you can find collectibles to delight at places like Atlas Editions. Collecting models and memorabilia is a popular pastime and can be a great source of inspiration for gifts. Even if your child hasn’t yet started a collection, their interest might develop. You could help that by buying their first collector’s item. Some interests can inspire other gifts too. For example, an ice skating fan might enjoy a year’s pass to the local rink. And those who love making model planes might be delighted with a set of flying lessons in the real thing. Any budding rock star would love a meet and greet with their favorite band. For all those family members that love their gadgets and gizmos, you can find a wealth of ideas online. There are lots of robot vacuum cleaners on the market at the moment. You can also find build-a-robot kits in lots of the electronics stores. This is great if you’re looking for an educational angle to your gift buying. Other popular gizmos and gadgets include smartwatches and fitness bands. The prices are coming down a lot at the moment, so it’s worth shopping around. Solar powered toys are also very popular right now. You can find solar powered toy cars and other fun activities to use the panels with. If your gift recipient is interested in science and technology, these can be ideal. Gift buying can be a lot of fun when you have some ideas about what to buy. You can use apps to help you organize your gift shopping too. That way you’ll never miss another birthday! If you ever get stuck for a gift idea, it could be worth asking them what is interesting to them at the moment. You never know when inspiration will strike. If you have a large family, you need to ensure that you get the right home for them. Sometimes, though, doing so is harder than you imagine. Of course, your kids come first no matter what. That means that you need to find a place where your children will be as happy as you are. So, how can you find the perfect family home? Well, since I thought I would share some top tips with you. 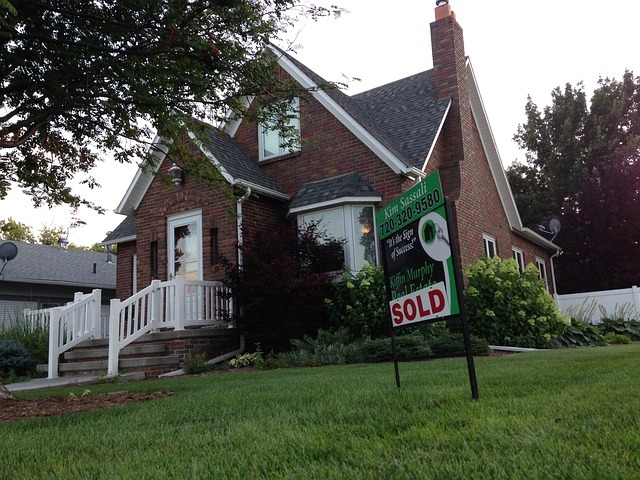 Okay, location is everything when it comes to a family home. You should take a look at some of the safest places in the UK before you start your search. After all, you want to raise your little ones in the right region. 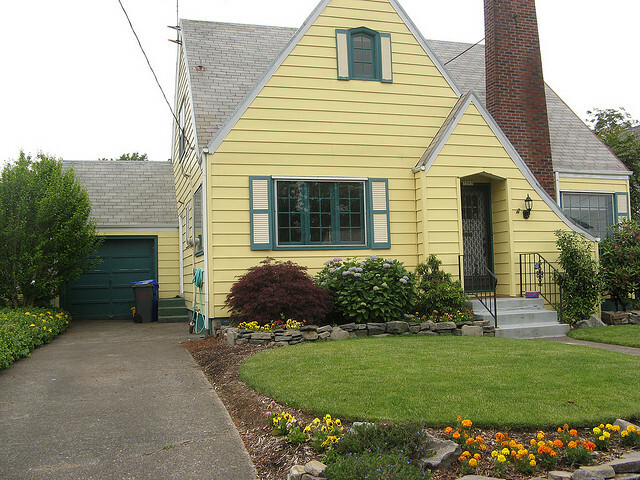 Ensure that the house you choose is close to your place of work and a great school. That way, you don’t have to deal with a massive commute and your kids will get the best level of education ever. If you’re not ready to get on the property ladder, you might want to think about renting. In reality, there is no rush when it comes to getting a house. The UK property market is booming, which means that house prices have rocketed. Take a look at sites like www.abbotts.co.uk/toletoffice/Chelmsford/878/ where you can rent family houses. When you make the decision to rent a property, rather than buying it, you can move around. Check out rented properties and see what you think. Everyone wants a beautiful garden space. When you first start viewing properties, you need to see their gardens. Of course, kids love running around outside, and so this aspect of the home is crucial. You should ensure that the yard is large enough for your little ones to play. You may want to include something like a swings set or even a climbing frame. Check whether the garden is spacious before you settle on a home. This tip is super important so pay attention. You may hate the interior design of a particular house, but you need to ignore it. You can redecorate the house in whatever way you want. That means that the wallpaper and carpets don’t mean a thing. If you base your decision on someone else’s design tastes, it will take you ages to find your dream home. Finally, you need to make sure that you get enough rooms for everyone in your family. You may wonder how many rooms you need, and so you should discuss this with your partner before you start to look. When you have a massive family, everyone needs a place they can relax. Choose a home that suits the size of your family and you will not go far wrong. I hope my tips help you when the time comes for you to move home. Remember, this period might feel stressful, but it will be well worth it in the end! Good luck. I don’t find the act of writing to be a lonely one. But the act of writing is a solitary one, and the writing life forces you to shut off the outside world for long stretches of time. To complete a huge task you have to say no to outings with friends and time spent in the sunshine, and choose instead to chain yourself to your computer or notepad and stare at it for hours on end. And because you have to spend so much time writing, you might not leave enough time for friendships and fun. Writing might not inspire loneliness, but the writing lifestyle definitely can.It can be difficult to fess up to loneliness, or even to recognize that it’s behind what’s ailing you. Doctors don’t really ask how many meaningful social interactions you’re getting and there is a social stigma for admitting to this kind of a problem. Even if you’re surrounded by people, sometimes there’s a tendency to retreat inward and cut off the outside world. Asthma is a common condition. In the UK, over five million people are currently receiving treatment for this medical problem. This equates to one in every 12 adults and one in every 11 children. The severity of asthma varies from person to person. In most cases, it can be effectively controlled. However, some people suffer from persistent problems. Occasionally, it can cause asthma attacks and severe episodes can require hospital treatment. They can even be life threatening. Indeed, these attacks kill around three people each day and Britain has one of the highest asthma death rates in Europe. This is why it’s so important to make sure you can spot the signs of asthma in yourself or your loved ones. Once the problem has been identified, you can seek suitable treatments. For example, you can get asthma inhalers to both prevent and relieve attacks. If you’re not sure how to identify the symptoms of this medical condition, take a look at the following guide. The most common asthma symptoms include wheezing, which means you make a whistling sound when you breathe, and a shortness of breath. The condition can also cause you to experience a tightening of your chest. This may feel like a band is surrounding your chest and is contracting around it. Frequent coughing is another telltale sign. These symptoms are often worse last thing at night and early in the morning. They can also develop or get worse in response to specific triggers, including exercise or allergens like dust or pet fur. If you or someone close to you shows these signs, it’s important to speak to a trained healthcare professional. These experts will be able to diagnose the symptoms and establish whether or not asthma is the cause or another health problem is to blame. Bear in mind that young children may not be able to express some of their symptoms, so you have to be especially vigilant when dealing with infants. Finding out that you or one of your family members have asthma can be distressing, but it is important that you get a diagnosis so that you can seek suitable treatment. Many of the severe asthma attacks and fatalities that occur as a result of this condition could be prevented if sufferers took suitable treatments. As long as you follow the medical guidance provided, you should be able to manage the condition effectively. For decent bed advice a site that is managed by somebody like a bed manufacturer will certainly be perfect, Some of the many interior design newsgroups and blogs may also be wonderful resources for discovering good quality bed tips and info, these type of places might easily answer some thoroughly precise questions concerning items such as wood and iron beds or wrought iron headboards. This bed search tip is especially valuable, instead of simply using a research term like “beds “, you should make use of a more particular search engine phrase such as”queen and kingsize beds” or “modern headboard makers”, in doing this your results are going to be highly targeted to your specific bed needs. You should also be aware that bed specialists and other people who might often work with or have some involvement with beds can easily be discovered via the regional telephone books, there will be no shortage of individuals who are in some way linked with the subject of beds and they can save you a sizable amount of your valuable time by helping you with your bed related queries. The bed experts will be capable offering you a lot of prime niche assistance on matters such as obtaining the best deals on metal frame twin beds and how to get the proper product guarantee whenever getting a bed, their bed expertise will surely help you get the best item for your needs. A whole host of bed related searches might possibly have led you to a bed or interior design associated portal, searches such as “find heavy duty bed frames” or “guides on adjustable orthopedic beds”, the real trick with any bedding portal is to go immediately to the site menu, if you do this you should not be side tracked due to bed guides that are not connected to the home furnishing item you need. Now if you should need advice on antique bed platforms it will often be better to use a bed site in order to initiate contact with a bed expert, by doing this you will obviously be able to get a modest amount of bed information for free. It might very well be you purchase a wood loft bed and a little later find that the bed merchant you got it from did not supply the goods at the lowest price, to be certain that this never comes about some other time make sure you carry out an online price review or check a reasonable variety of bed merchants first, it may be a king iron bed is being sold for a certain price on one internet store however is being marketed for thirty five percent lower on another, some great deals can be found if you look around. particular beds might not turn out to be that easy to come across, lets imagine you are wishing to buy loft bunk beds it might be that you might have to purchase your items directly from a bed manufacturer, even the top websites may not always solve every bed purchasers requirements however a large number of home furnishing products can be acquired by some means. Beginning in early August and all the way through much of September, schools throughout the country begin welcoming students back from their summer hiatus. Whether you are a parent, child, school administrator, driver, or a concerned citizen, the following tips will help keep our nation’s students safe. 1. Bus Stop. Your child’s bus stop should be in an area that is well lit, easily accessible, and away from traffic. If it is not, contact school administrators to have the stop moved. In some situations you may need to contact the school board instead. If you live in an area where there is heavy snowfall, make sure that the stop is sufficiently free of snow, ice, and related debris. 2. Clothing. Children should be wearing bright colored clothing, especially if waiting for the bus before sunrise or getting home after dark. Place removable reflective tape on their outer garments including on their hats and coats. 3. Boarding. Teach your children to only move forward to board the school bus when it has come to a complete stop and the driver opens the door. Children should line up single file as they await entrance. 4. Seating. Virtually all school buses DO NOT come equipped with seatbelts, nor are seats strong enough to resist impact in the event of a crash. Teach your children to be seated at all times and facing forward. Study various brace positions to prepare for the possibility of an accident. Learn optional exit strategies including using the emergency door or windows. 5. Exiting. When exiting the bus, children must move far away from the vehicle to allow the driver to see that they have cleared the bus and are safely away from traffic. Instruct your children to stay away from the bus’ rear wheels at all times. 6. Awareness. Teach your children to be aware of other traffic in the area. Do not assume that drivers will stop for them or even see them. If children must cross the street, they are to do so only with the driver directing them. Have them constantly looking both ways as they cross the street until they are safely on the other side. Every year children die or are injured in school bus related accidents. Many die as a result of a collision involving their bus with another vehicle while others are killed or hurt as they fail to clear the area around the bus or are hit by oncoming traffic. 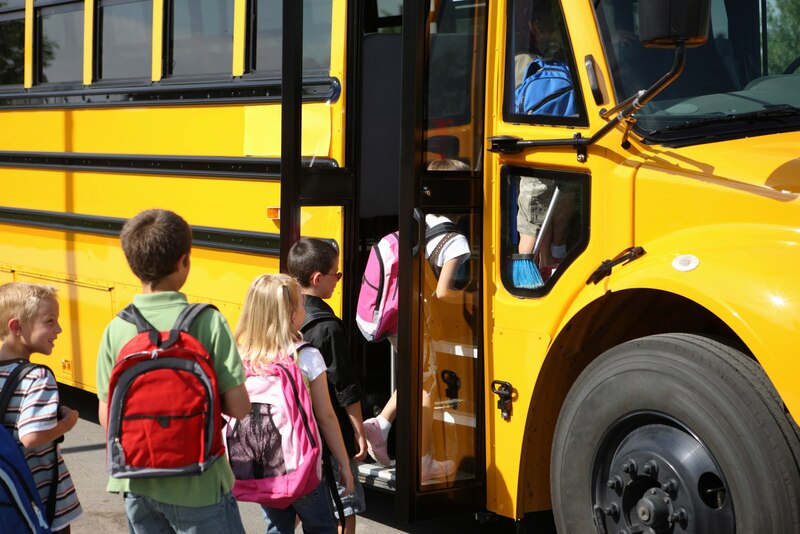 You can keep your child safe by raising their awareness of potential hazards while the rest of us can make school bus safety a priority by obeying the rules of the road. Let’s make this school year a safe one.